Finally I found a great trading platform, which provides Universal Renko bars out of the box! After testing the various settings, I recognized, that the real-time Advanced Renko bars are plotted incorrectly (the historical bars are plotted correctly). 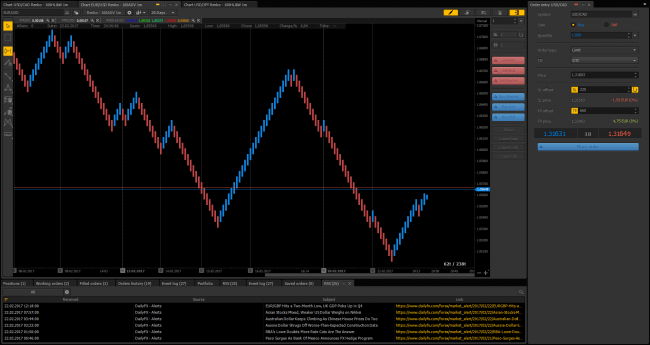 In this screenshot you can see the correct plotting of the classic Renko bars. The bar low/close is formed by the bid price. We're glad to hear it, thanks for your feedback! I recognized, that the real-time Advanced Renko bars are plotted incorrectly (the historical bars are plotted correctly). For the moment real-time Renko bars based on real time price movement. 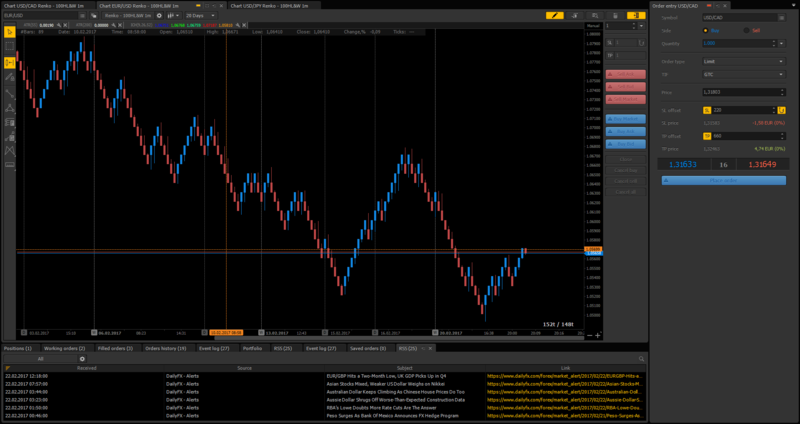 We're planning to make changes in a process of Renko charts building in a short time. It'll fix these issues. We'll inform you by email about the changes if you want. You're welcome! It's the least I can do as a user of your product. Which is great. as you can observe what went into building that bar. It's also nice for indicators, which plot the remaining ticks for completing a bar (the only time related property of renko bars). The plotting offset just needs to be fixed by the Extension offset. Sounds good. A visual interpretation of what went into building the bar would be great to keep.